The secret to a perfect smile is most importantly, perfect teeth. Tooth decay is a problem that affects a majority of the population. It results from bad eating habits and not taking the right care of oral hygiene. However, once it occurs, the results are painful, to say the least. The worst part is when the tooth is decayed to such an extent that there is no other way but to extract it. The loss of a tooth not only badly affects your eating habits but takes a huge toll on your confidence and self-esteem. Imagine walking into an interview without your perfect smile to give you company. This is a situation which cripples many well deserving candidates from bringing out their best possible potential to the table. This is indeed a punishment too harsh for the slightest neglect on your part. To prevent this from happening, taking care of good oral hygiene and regular visits to a dental clinic in Mumbai is necessary. Tooth decay is mostly caused by the consumption of food and beverage which is bad for your oral health. Sweet food and beverages on consumption break down inside your mouth and are acted upon by the bacteria infesting there. These bacteria break down the compounds in food to form a sticky substance which coats the teeth and is called plaque. The plaque then attacks the enamel of the tooth, eroding the minerals in it and causing tooth decay. The new process available of dental implants in Mumbai has proved to be a much better cure to this compared to ordinary dentures. Dental clinics in Mumbai refer this procedure to all their patients primarily because unlike dentures, dental implants don’t need to be frequently taken out for cleaning purposes. This also reduces the risks of losing the dentures or mechanical wear and tear. Dental implants in Mumbai are also more durable and fit perfectly with the gum, preventing loosening and thus can be used for much longer periods compared to dentures. As dental implants greatly reduce risks of infection of any kinds, it has become a favourite at Dental clinics in Mumbai. The process of installation of dental implants in Mulund is quite easy as well, and thus most patients are opting for it. All dental clinics in Mumbai are equipped to provide dental implants. The procedure takes a minimum of four sittings. Firstly, a cast of the tooth to be replaced is made. At the second sitting, the jaw is operated upon during which a metal wire is inserted in the jaw in order to hold the dental implants in place. After this, the dental implants are fixed into place after the decayed tooth has been extracted to make way for the new tooth. 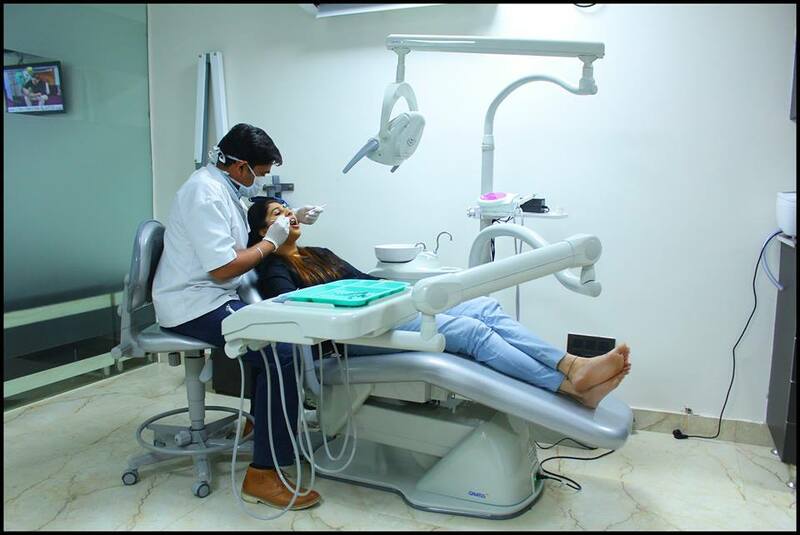 The ease of installation and low efforts involved in taking care of the new tooth is what has made dental implants in Mulund an expected hit with everyone looking for a cure from tooth decay.